John Timmons' life is planned and orderly. He cares for his mother and four younger brothers, and their future depends on him to keep their Colorado ranch profitable. 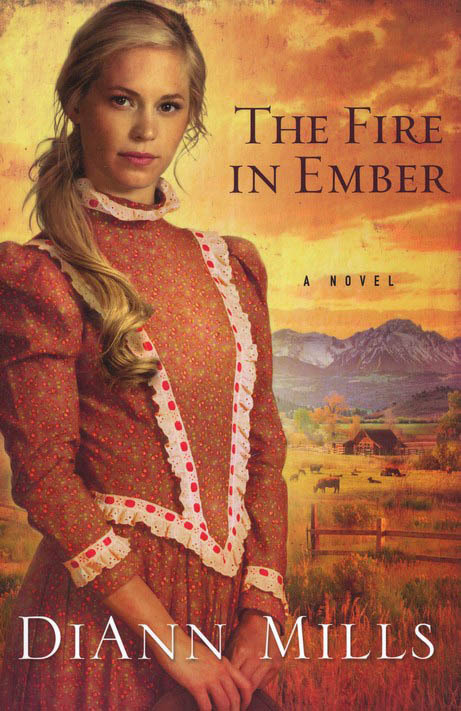 Ember Farrar (Bert) has run away from her lawbreaking family in search of a new life. But, when she attempts to return a horse that her brother had stolen, ranch hands believe she is a thief and a boy and they plan to hang her. John, who is also a deputy marshal, breaks up the hanging. After paying for the stolen horse, he takes the boy home to work off the debt. Later he learns Bert is a girl who refuses to tell him who she is and why she possessed a stolen horse. When ranchers report stolen cattle, Bert is a natural suspect. John is touched by Bert's sweet spirit and natural gift of music. Surely she's not a cattle thief. Bert fears for their lives when she is forced to either help her brothers steal or put the Timmons in danger. When John thinks Bert has betrayed him, he ignores God and turns revengeful. Will John learn who Bert truly is? Will their lives ever return back to normal? There might be areas in our life, issues that we have to deal with individually that need work, such as a trust issue, or maybe a difficulty to accept love. Or to open up to another person enough to be in a relationship with them. Now there are a million self-helf books out there you can read and be confused by to your heart's content. You can also choose to read a story instead, a story that deals with some of the things that are troubling you, but not through talking. Through showing. Through living. That's why I loved this book. It is a deeply romantic novel set in the time of cowboys and girls with bonnets, and the main characters are a family of a wodowed mother raising five sons. And Bert, of course, our heroine. First of all there is the whole girl-in-boy's-clothes thing, that personally is a theme that I only need to hear about and by that alone I want to read the book. It was very elegantly done, I have to say. The characters in this book are well-fleshed and complex. I particularly liked how each of the brothers had his own personal coming-of-age story, and how they were disinguished from each other, since they were completely different characters. And then we have John and Bert. Bert with her fear, and her emotional scars and her trust issues. And John, who can't even let himself laugh, so much does he feel the weight of responsibility of his brothers and the ranch. They are brought together, each with the herculean tast of rescuing the other, loving and being loved by each other. The romance was slow-building and I was able to savor it. But it wasn't the main plot point of the novel. Its focus was God and how He is the only One who can held and rescue and restore. I liked this book because I learned a lot about myself from reading it, and about how God works with broken, fragile people who need Him. It amazed me to see how the author portrayed His love for each and every character, shown in a different way for everyone, according to their needs and character.